Scott took the girls for a walk today to get them out of my hair while I tackled the disaster that was our bedroom. He took them to the Pound Shop and let them pick a toy each. 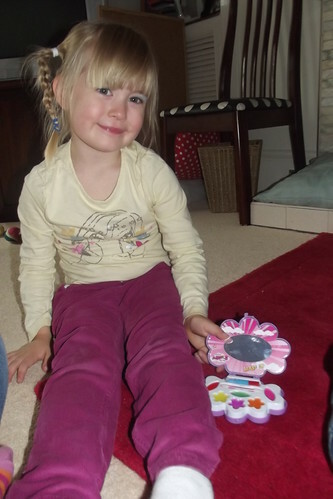 Lolly chose one of those rubbery-bouncy light up toys that are totally gross, and Fifi picked a make-up kit. 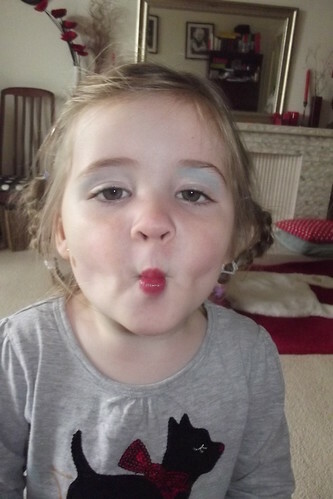 Scott thought it was plastic until they got home, and Fifi opened it to find 'real make-up!' So of course, we had to do make-overs. 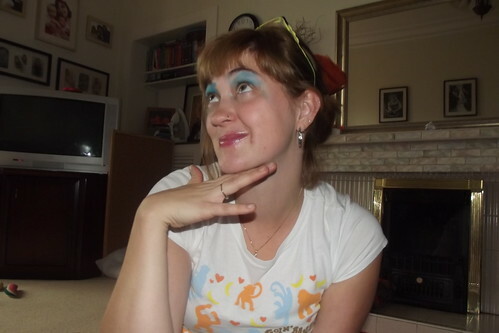 Then of course Fifi wanted to give me a make-over too. No way was I going to allow that disgusting gellified gunk on my face, so I took out my stage make-up and let her go to town on me.